LS Industries, Inc. is committed to providing the highest quality products to our customers. We have a wide range of machining capabilities, both manual and CNC, allowing us flexibility to do small quantity projects as well as large quantity production projects. 1000 rpm (25.4 m/min) rapids. 3 - HAAS TM-2 40" x 16" x 16", 40 taper, 7.5 hp vector drive, 4000 rpm. 1 - HAAS TM-3 40" x 20" x 16", 40 taper, 7.5 hp vector drive, 4000 rpm. 1 - HAAS TM-1 30" x 12" x16", 40 taper, 7.5 hp vector drive, 4000 rpm. 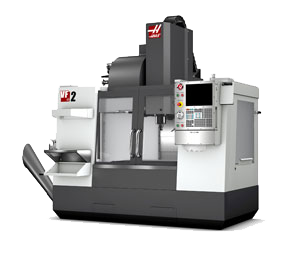 1 - HAAS TL-1 CNC/Manual Toolroom Lathe; 16" x 29" max capacity, 16" swing, 7.5 hp vector drive, 2000 rpm, A2-5 spindle. 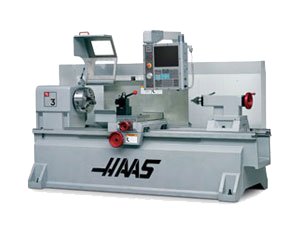 1 - HAAS TL-3W CNC/Manual Toolroom Lathe; 30" x 60" max capacity, 30" swing, 30 hp, 1800 rpm, A2-6 spindle. 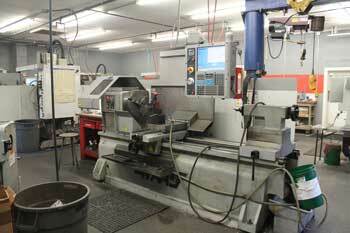 1 - Lathe 22" x 120"
1 - Surface Grinder 6" x 12"
- A number of misc. saws & presses.